How does the health care industry begin to address key factors like housing, economic status, health literacy, and even air quality that prevent some of us from being our healthiest selves? GuideWell’s Prakash Patel, M.D., knows that one’s health is not determined in the four walls of the doctor’s office – it happens in the home. As Chief Operating Officer for GuideWell and President of GuideWell Health, Prakash oversees an innovative new care delivery system designed to directly impact those factors, known collectively as social determinants of health, with clinicians such as nutritionists, social workers, behavioral health specialists and others who can conduct home visits and coordinate outreach between doctors’ appointments. 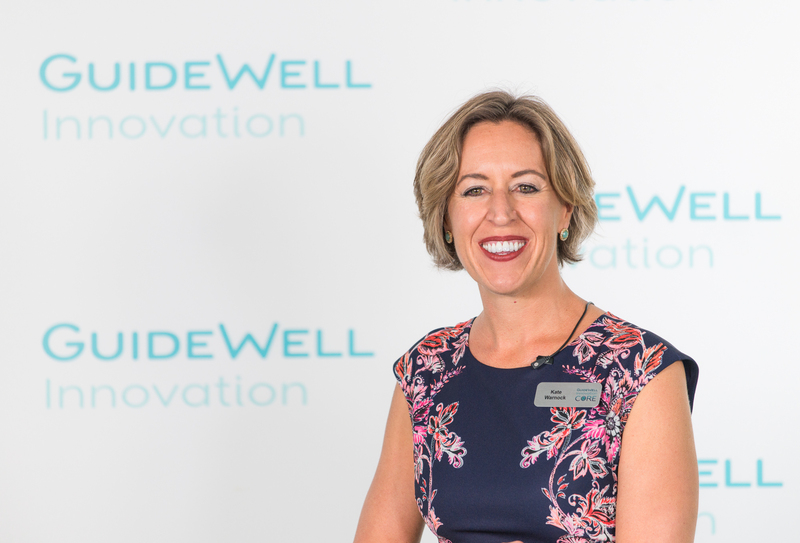 We learned more about these “places of delivery” or PODs and their localized, multidisciplinary care teams in our GuideWell Insights interview with Prakash, filmed on location at the GuideWell Innovation Center. What is driving GuideWell’s interest in improving behavioral and mental health. Social determinants of health will always be a challenge but GuideWell is committed to innovating more holistic care solutions so all equally benefit from the highest quality, most affordable care. We invite you to watch more interviews with GuideWell and other health industry leaders as we tackle social determinants and other critical industry topics on our YouTube channel. Kate is the social media manager for the GuideWell enterprise, and specializes in creating content that connects GuideWell with health influencers in the social space. Find her corporate podcasts on iTunes and follow her on Twitter @mkatewarnock. Generally, the pronouns “our,” “we” and “us” used throughout this website are intended to refer collectively to GuideWell Mutual Holding Corporation and its subsidiaries and affiliates. However, where appropriate, the content may identify a particular company; there, any pronouns refer to that specific entity. GuideWell is committed to making all web content and other electronic information conform to widely accepted web accessibility standards and requirements.